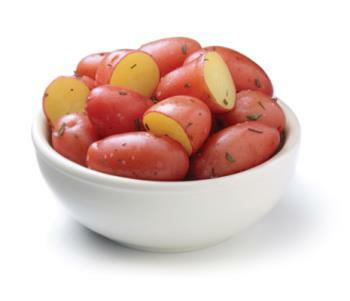 Small, delicious, Klondike potatoes with red skin and yellow flesh. Small potatoes make easy preparation, because they don't have to be peeled. With a creamy, buttery texture, they are perfect for any recipe! These potatoes come in a 1.5 lb. package that makes a perfect side dish for any meal.